In the social media world you will hear time and time again that, “Facebook is king.” Facebook paved the way for other social media platforms, but has always remained the rock. Facebook has the ability to reach all ages, a variety of interests, and any location. Through the use of a public business page, you can be found easily by future customers and create a free referral system. 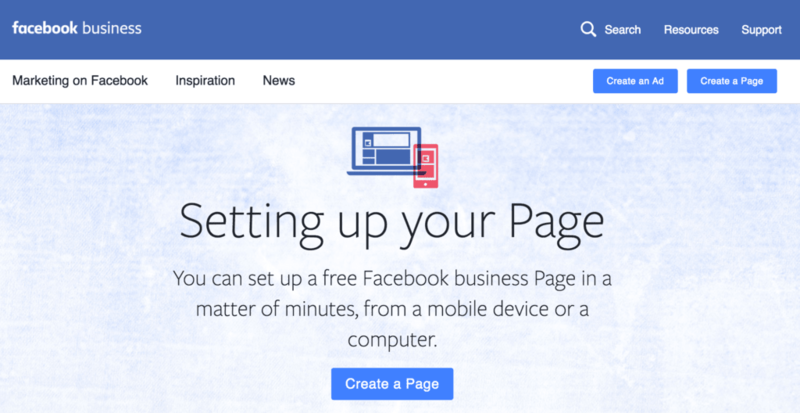 Set up: Facebook walks you through how to set up your page. If you’re an independent insurance agent, use your headshot as a profile picture. If you are a funeral home, use your logo as your profile picture. Feel free to use a high-quality photo of your building as your cover photo. Call to Action: During your setup, give your future customers every opportunity to contact you. Give them your phone number, contact email, and physical address (for funeral homes). For your call to action, we would recommend your phone number. If your customer is actively searching to do business, this is the quickest way for your customer to start the buying process. An email will delay the momentum of your sale. Request Reviews: You don’t need to ask every customer for a review, but instead be strategic in your selection process. You want a quality review for future customers to read along with the star rating. Occasionally you may get a negative review. In this event, respond directly to see how you can rectify the issue. (For funeral homes, ask them who they worked with and for other details related to their experience.) It may be best to contact them privately to rectify the issue. Ask them what you could have done to make the process a better experience. Keep your responses civil, professional, and understanding. Only the customer can remove the review. Once you’ve successfully worked through their issues you can request for them to take down the review, or you can comment on the original review explaining that you contacted them directly and worked to an amiable conclusion. If you’re actively working to increase the amount of positive reviews on your page, hopefully one bad review won’t wreck your overall rating. Content to Post: If you are a funeral home, STOP POSTING EVERY OBITUARY. Your obituaries should be shareable from your website, but you should not be posting every obituary to your Facebook page. You will lose followers! People will follow you initially because they see their loved one’s obituary, but they don’t want to see obituaries of other people peppered into their regular news feed. Instead, share information from organizations like the NFDA, Connecting Directors, or us (Security National Life)! It can be content of intrigue in the funeral industry or related to grief and healing. There are several groups on Facebook dedicated to generating shareable content that you can use. If you are an independent agent, you can share these exact same topics. Your business page should be full of helpful information for your future customer, so you are seen as the “authority” in your realm. Engagement: Last but not least, engagement. When you have customers/future customers interacting with your page by sharing, commenting, etc. make sure to respond when appropriate. If you’ve shared pictures from your community event, be sure to tag people you know! You are have been given a direct line to your customers, so use it! Make sure to keep your business profile active. We’re all busy, but if you’ve got 5 minutes to find and share an article on your page, this may be 5 minutes you’re investing into future customers who saw your shared article, liked it, shared it, and will use YOU as their preferred vendor in the future.